In a distributed database system, an increase in workload typically necessitates the installation of additional database servers followed by the implementation of expensive data reorganization strategies. We present the Partial REALLOCATE and Full REALLOCATE heuristics for efficient data reallocation. Complexity is controlled and cost minimized by allowing only incremental introduction of servers into the distributed database system. 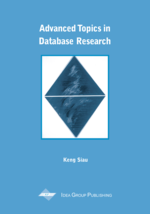 Using first simple examples and then, a simulator, our framework for incremental growth and data reallocation in distributed database systems is shown to produce near optimal solutions when compared with exhaustive methods.